Nonfiction Picture Book: Let’s Get Motivated! But now! Hip hip hooray! We’re going to go through the process of writing an 800-word nonfiction picture book together. We’re going to have lots of fun plus learn important techniques along the way. And at the end of the journey, whether or not we’ve been able to write the quality of manuscript that can get published in today’s market, we will have grown as writers. We’ll be moving forward in our career. We’ll be actually factually making steps to pursue our dreams as writers. SPECIAL NOTE: If you want to follow along and take your time doing this, just follow the upcoming posts from today’s date until March 27, 2014. But if you want to speed ahead and go through the process in just 3 weeks instead of 3-4 months, CLICK HERE to hop forward to the March 27 post where I get us started on the 3-week track for writing a nonfiction picture book. Now, at the beginning of a new project, I like to make a commitment to follow through until the end. If I approach it with a ho-hum attitude, I’ll never make it to the finish line. If you’ve never written an 800 nonfiction picture book before, you might not know what’s ahead. Basically, there will be research and chunks of writing and outlining/plotting and chunks of writing and more research and chunks of writing and reading other nonfiction picture books and revising and more chunks of writing. I’m planning on spending the next two to three months working on this project together with you here on my blog where we’ll each write our own picture book while you follow along with the steps I actually take. And just for a note of encouragement…you CAN do this. An 800 word first draft can be written in less than an hour. Of course, it will needs lots of research and revision, but that’s how quickly it can be done. Because it’s a first draft. We’re going to take lots of strategic steps, however, and write our nonfiction picture books in chunks and paragraphs and sections with careful planning. That’s why we’ll be taking 2 or 3 months to do it. But it will still only be 800 words. And it will still be a first draft, so it will still probably be pretty lousy. That’s because it will be a first draft. But then, after we finish the first draft from beginning to end, I’ll give you some tips on how to edit it and polish it after the first draft is written until it’s the best you know how to write at this point of your writing journey. Each one of us has different things on our plates and each one of us has different things that motivate us. So first I want to hear from you. Are you making a commitment to write the first draft of this 800-word nonfiction book from beginning to end? If so, post a comment here and let us know. Accountability is always a good way to get motivated. Accountability, eh? See, I thought I could just dab a little here and there. Thank you, Nancy, this is just what I need! Accountability. No more procrastination. I will, to the best of my ability, follow your instructions on writing a non-ficiton book from beginning to end. Oh yay! I love how you’re going to do this to the best of your ability. That’s all it takes!!!! Wahoo for you, too, Sara! It sounds interesting to me and I am willing to give it a try. I like history and I bought a nonfiction pb about history earlier this year. That’s great, Debbie! It sounds like you’re all geared up and ready to join in the fun. Sounds fun. I just need to come up w/a topic. I’m glad you’re joining in, Tina! And we’ll be doing some topic brainstorming, so hopefully that will generate an idea for you. I’m committed. Already got some ideas on what to write about! Yay, Gloria! I’m glad you’re joining in the fun!! Yes! This is my first visit to your blog and it’s wonderful! I’ve written articles for kids’ magazines and am just beginning to map out possibilities for NF picture books, which I’ve not done yet. Count me in for this project — to the end! Wow, Christy, glad you stopped by my blog AND decided to jump in and join the journey. We’re going to have a fun adventure so glad you’re coming along! Yes, I am making the commitment. Just hope my procrastination doesn’t kick in. Thanks, Nancy, for doing these posts. You’re welcome, Chris. Glad you’re joining us! Wow, Donna, you’ve made some amazing discoveries already! That’s so exciting. Glad you’ll be following along. Ha! Writing a new nonfiction picture book is on my list of things to do between now and March! Was I tickled when I saw your post? Duh! I’m in. Yay, Doraine!!! We’re gonna have fun! Hip hip hooray for you, Ann! Glad you’re joining in the fun. Donna, your words encouraged ME today! Thanks so much for letting us know where you’re at with this right now. And glad you’re joining in the adventure! The stars must be in alignment as I was able to reserve all but one suggested book. Whoopie, I’m off to the library! Hope I’m not too late, Nancy! I’m new at NF, but love writing PB and Early Readers. Have a couple of fun ideas, but none that I love yet. Look forward to reading about your process. It’s never too late to hop on board, Heather! Glad you’re going to give nonfiction a try. It seems to be a lot easier to break into the picture book market with nonfiction than fiction these days. Hi Nancy. 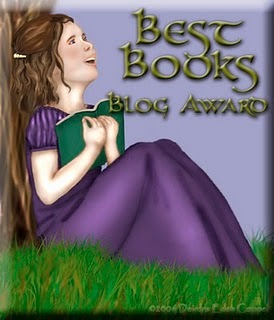 I’ve visited your blog a few times and I’m impressed how you encourage others who want to write for children. I’ve written a few fiction stories but want to learn more about non-fiction picture books. So I’ll be following along over the next few weeks. Thank you! Thanks for your kind words, Kathleen! And I’m so glad you’re going to try nonfiction now, too! Hi Nancy, I have both of your “How to” books and have purchased your “How to Write a Middle Grade Novel” course. I enjoy reading your blog as well. You are a great encourager of chidren’s writers. You always seem to break down each big project into smaller tasks that seem easy to do. You make me feel as if I really can accomplish the goal. So….I’m going to try this non fiction project along with you. Let’s see if I really CAN do it! Thanks! Oh Rona, I’m so glad you’re encouraged to join in on the fun because I really believe this…you CAN do it!!!! Yay! Glad you’re joining the journey! And now that the holidays are over, stay tuned because I’ll be sharing the details for the steps to start to take this coming week. Here on my blog. I have scads of research for a NF picture book that I accumulated 5 years ago and never moved forward. So now your post got me going. O.K. I’m in. Thanks for doing this. I’d like to participate. Pat Miller just shared this on a fb group we are in together about nonfiction. Am I too late for the party? I know I’m coming late to the party, that just makes the challenge much more fun! Thanks for being willing to walk us (possibly drag us kicking and screaming) through the first-draft process! Oh yay! Glad you’re joining in on the fun adventure, too!